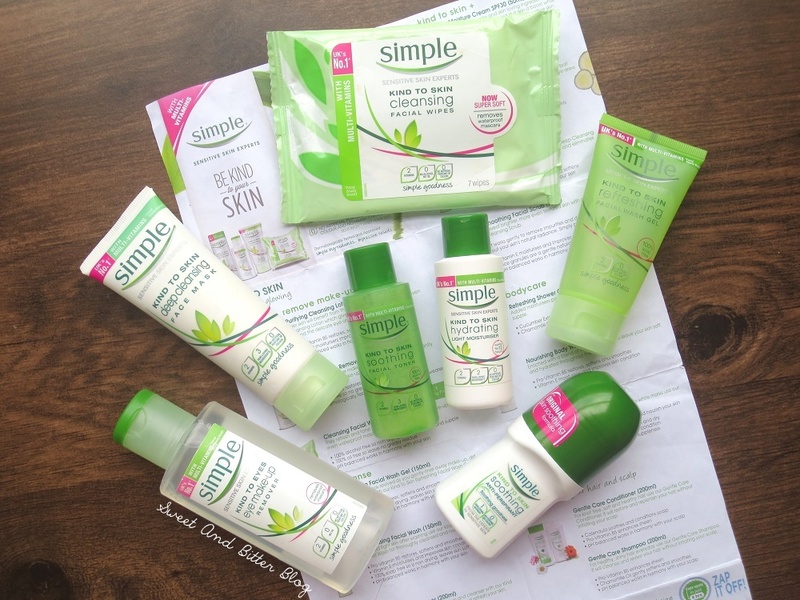 In case you are not aware, Simple is a skincare brand which specializes in skincare for sensitive skin. 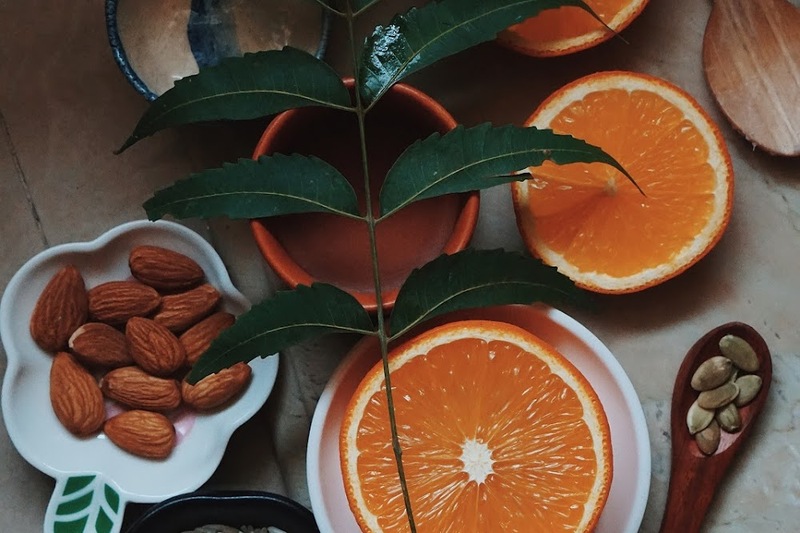 Simple products which are free of colorants, non-fragrance, with added vitamins. They are hypoallergenic, non-comedogenic and pH balanced. 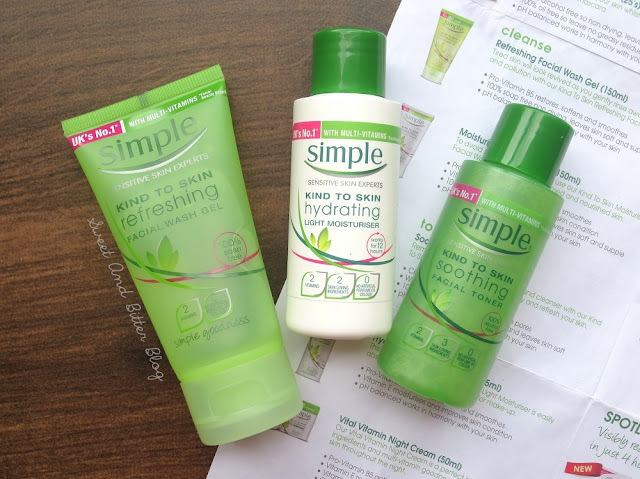 I have been dreaming about using them from the very first time I got to know about Simple Skincare products. Drugstore products for sensitive skin which is sold by mass retailers? That truly is the dream, babe. I do not even remember which products I wanted to buy, but I have never seen a bad review so, I was sure that I will buy everything when I find them somewhere. 20th Aug ‘16: I found everything. Almost everything at the Caring Pharmacy at KLIA2. I picked all of them. Later, I switched three of the products with the travel size trio. Happy at as a clam at high tide. There are 18 products in Simple Skincare's portfolio, and I was going to use 7 of those. Since they do not have tall claims other that being suitable for sensitive skin, here is my view after 2 weeks of use. I will update the post if I see any other difference. Simple Kind To Eyes Eye Make-up Remover: Something like micellar water but certainly powerful. It removes makeup, lipsticks, and even eye makeup. It is super gentle, does not stings, does not have any fragrance or anything to bother about. You do not even have to wash it off. It cleans completely without leaving behind any stickiness. But, it fails to remove strong waterproof foundations (I know it says that it is an eye makeup remover, but I tested it completely), mascara, and Kohl, especially from lower lid. Anyways, I will still give it to it because it removes everyday makeup like a pro. Why I dislike it most is because it leaks. The bottle leaked, and remover destroyed the entire bill. Now, I have no idea how much I paid for what. Points deducted for not being travel-friendly though the bottle is of plastic with a strong cap. Or maybe the one I got is faulty. But, that didn't stop me from getting it along with me. I kept in in a zip lock and along the way it leaked. It's hard to see good skincare being wasted like this. 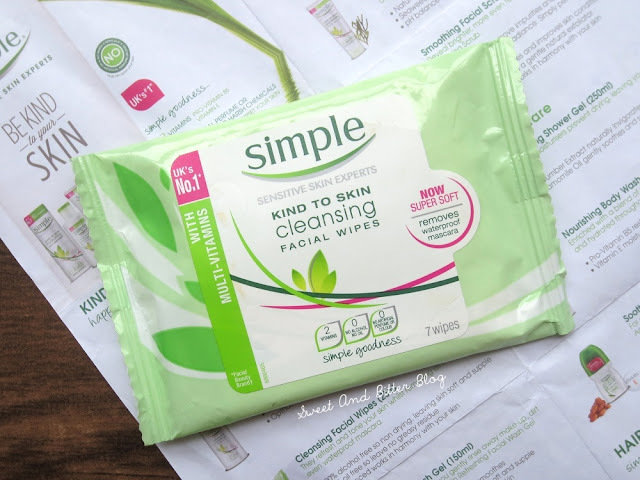 Simple Kind To Skin Cleansing Facial Wipes: The best leak proof solution to removing makeup while traveling is using wipes (or cleansing butter). Also, Simple’s wipes are highly appreciated. The wipes have a ribbed texture soaked in lotion. It definitely removed more makeup (foundation) than the makeup remover. The packaging promises that it removes mascara, but in reality, it only removes it a little (that too the non-waterproof one). It cleans and just like the makeup remover does not leave any product behind. While it worked better than the makeup remover, I am still not highly impressed. I like it, but I won’t suggest you go miles to get this one because availability is an issue which we cannot overlook here. Also, the package contains just 7 wipes. I know, I should have got the bigger size. All it all it acts great as a refreshing wipe.But, if refreshing my skin was the only requirement, won’t I just pick Kara wipes or Baby wipes that are easily available at every chemist’s shop? Simple Kind To Skin Refreshing Facial Wash Gel: Low foaming, gentle, moisturizing face wash that removes every bit of oil and some light makeup as well. It is free of SLS/SLES, perfumes, colors, and harsh chemicals. In fact, I felt that it is better (gentler) than the expensive Clinique Liquid Facial Soap. If you have sensitive skin which is normal/oil/combination then this one is the perfect choice as an everyday face wash. This might not be helpful to fight off any skin issues as it is mild. 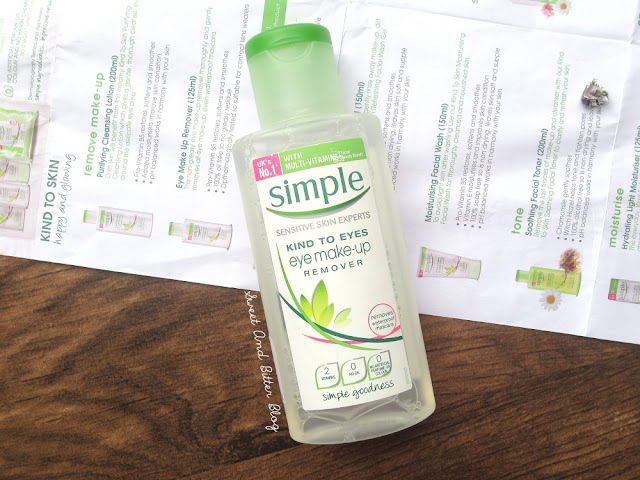 Simple Kind To Skin Soothing Facial Toner: Super gentle toner which made me wonder if it is even doing anything. But, within a minute I can feel my skin to be tighter. It does not irritate, no drying feeling, no perfumes, no stickiness. So, far I haven’t seen any issues. Also, I have not seen any new acne coming up. So, maybe the gentle way is working for me. 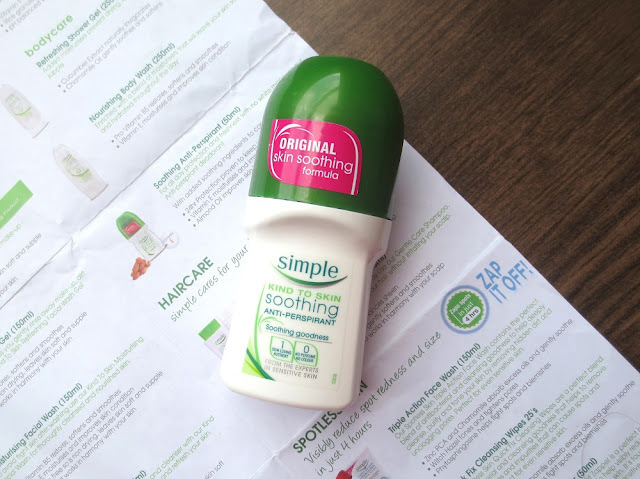 Simple Kind To Skin Hydrating Light Moisturiser: I am not a lotion person. I got this in the trio set. For the sake of trying, I used it one night (just a little bit) and woke up with a face dripping oil. Not kidding. Maybe it is not made for an oily combination like mine, or maybe the Kolkata humidity is too much for it to work. All in all, this is going to be used as a hand lotion from now on. A fragrance-free hand lotion. LOL. 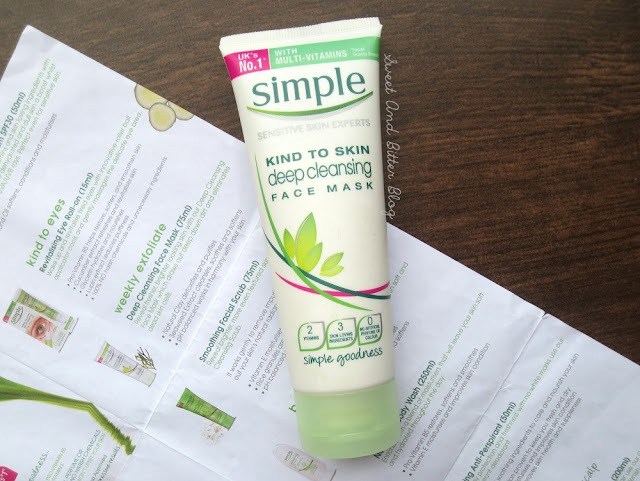 Simple Kind To Skin Deep Cleansing Face Mask: It feels like a cream and almost slippery to apply. But, it does not irritate or sting my skin – neither during application nor while drying. When I first applied, I had no expectations from this. 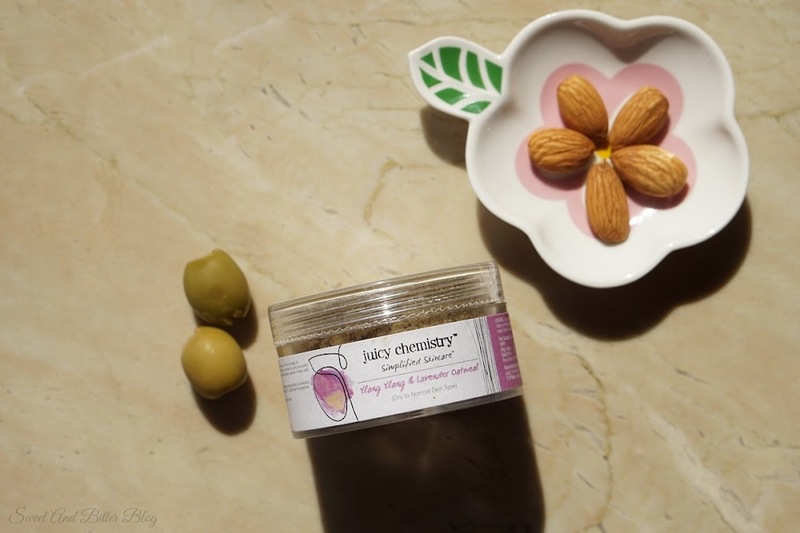 What can a creamy, slippery face mask do for my skin? Then, it dried and become transparent. When you start seeing your skin, it's time to wash off. But, after I wash it off, my skin feels super fresh and bouncy. It exfoliates in micro level and cleanses as well. It is tough for me to keep my hands off my skin after I used it. There is no dry feeling, nor there is any oil left – just fresh and pure skin. Ahhh…the feeling. This is the best products in this whole lot. I highly recommend it. Simple Skin to Kind Roll On Deodorant: Frankly, it is a joke. Neither is it soothing, nor it is an anti-perspiration. When applied less, it does nothing. When applied more, it does not dries off and feels sticky. One of the worst roll on deodorant I have tried. Stay away. It definitely is not made to fight against India's heat. I might also be a bit biased toward Sure and Rexona. Overall: I can clearly see why people in the USA and the UK with sensitive skin adores Simple Skincare. They are mild, easily available, and not expensive. Unfortunately, for those in India, the 'easily available' and 'not expensive' tags is not applicable. 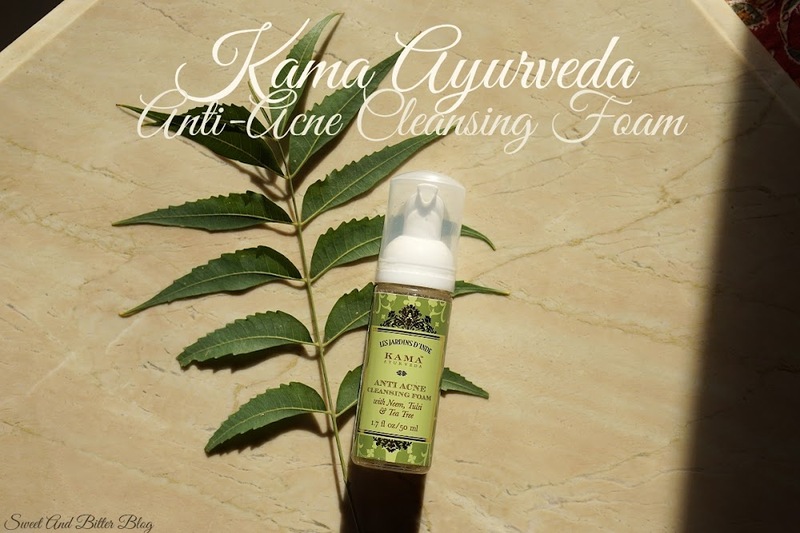 Simple Skincare is not retailed in India, and even if you see them in few websites, it is not worth the steep price. 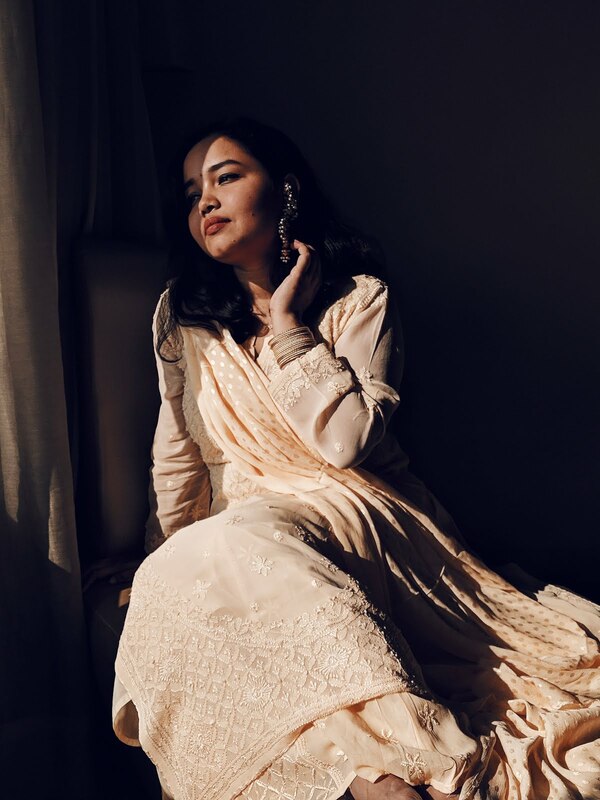 If they ever come to India, then I will definitely suggest that you go for them. But, I won't recommend going to all ends to get your hands on the products. And when you do get Simple Skincare, then please try the makeup remover, wipes (not great but still better than most), deep cleansing face mask, face wash and toner. I am not pleased with the moisturizer and roll on deodorant. Have you tried Simple Skincare? Anything I missed that I should have tried? Is in your wishlist or did I burst the bubble?